AMI, one of the oldest and most experienced asbestos removal companies in the area, specializes in asbestos testing, removal and encapsulation. We also provide demolition services specifically when demo sites contain asbestos contaminated materials. In the Lead Based Paint (LBP) removal industry AMI is the premier LBP removal contractor in the area. We have completed more LBP projects than any other contractor in the area; from initial inspections to planning and managing work for various housing authorities including St. Louis, East St. Louis, St. Louis County, St. Clair County and Madison County. The gold standard in a mold assessment report features comprehensive details of the assessor’s finding, recommendations, digital photographs of potential concerns, and an estimate for mold remediation/removal. AMI Environmental Services is licensed in Illinois and Missouri with a service area of approximately 200 miles from St. Louis, MO. We serve all of Southern Illinois, as far north as Peoria, Illinois, and almost the entire east side of the state of Missouri. 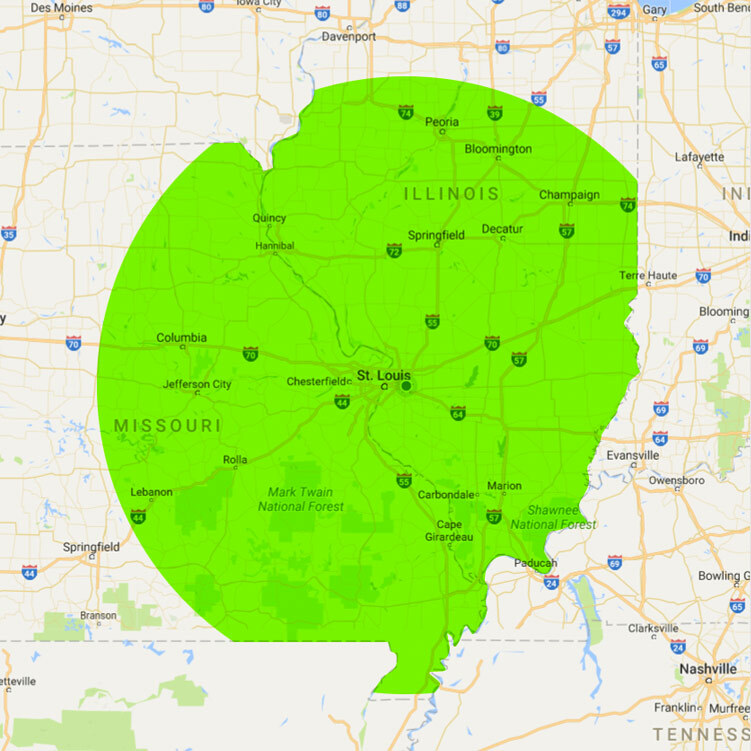 Our service area includes: St. Louis, St. Charles, Columbia, Jefferson City, Chesterfield, Hannibal, Rolla and Lebanon in Missouri, and Peoria, Bloomington, Champaign, Springfield, Decatur, Marion, Carbondale, Cape Girardeau and Quincy in Illinois. If you are looking for an asbestos abatement specialist anywhere within our service area, contact us today for a FREE estimate. Thank you and hopefully you choose AMI to take care of all your mold, lead and asbestos removal needs.